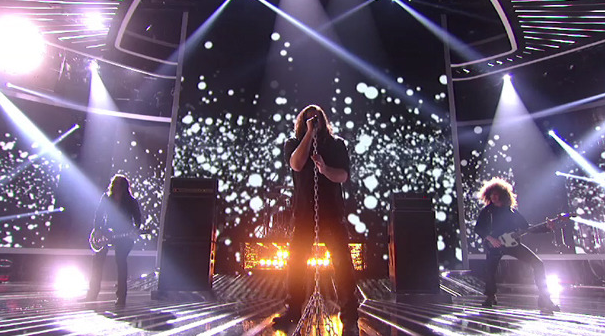 X Factor LIVE Results – Nov 17th – Top 9 Revealed – Who Went Home? Tonight on The X Factor, we are going end the night with only nine acts left. Someone else will be gone within the hour. Who will it be? Based on last night’s Straight Rock theme (Josh Krajcik was the only who stuck with the theme!) performances, my vote to go home would be Stacy Francis. She will most definitely be in the bottom two and I am afraid that Lakoda Rayne will be back there as well. Poor Paula. I hope her girls can make it another week. She’s worked so hard with them. Although Simon’s comments last night were dead on. If you happened to miss the show last night, you can catch up on all of the videos quick style right HERE. Before someone is sent packing, we have a special guest performance from the one and only, Rihanna! She will be performing her single, We Found Love off of her upcoming album Talk That Talk. So will we be surprised tonight with the results? Or will the right act be sent away? Did you do your part and VOTE? We will have the LIVE results for you as soon as they are announced. The results show starts at 8/7c. Keep refreshing the page for updates! UPDATE: The bottom two were Astro (SHOCKING!) and then Stacy Francis. Not shocking. The judges chose to send hoe Stacy Francis of course. It was her time. Congrats to the final 9!